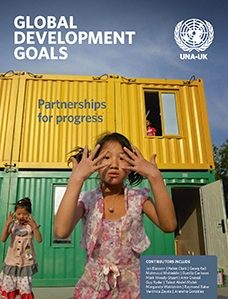 Global development goals: Partnerships for progress is the second in a series of major publications on the Millennium Development Goals (MDGs) and the future of international development. The 2014 edition sets out recommendations for the final year of the MDGs, and for the intergovernmental negotiations on the post-2015 framework that began in late 2014. The publication’s objectives are to encourage concerted efforts towards achieving the existing Goals and practical ideas on the content and delivery of programmes in the next era of international development. 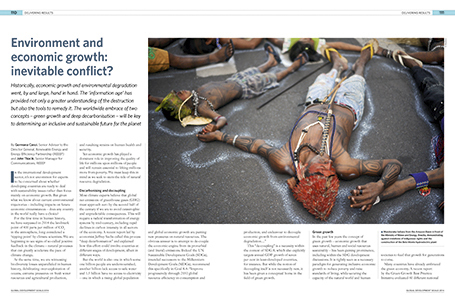 The publication is edited by Natalie Samarasinghe, with articles from leading authorities, including Jan Eliasson, Georg Kell, Mahmoud Mohieldin, Gunilla Carlsson and Guy Ryder.